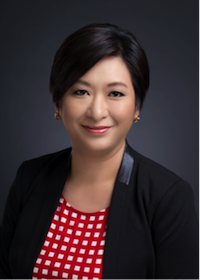 On the latest Called to Coach: Southeast Asia Edition, we spoke with Rita Chan, one of the first Gallup-Certified Strengths Coaches in Hong Kong. Rita has a passion for interacting with individuals and teams to maximize their development and productivity. She empowers people to live passionately by helping them discover their innate talents. Throughout her extensive career in human resources, Rita has used multiple tools for developing herself and others. She says that, although these other developmental tools gave her the “what,” it wasn’t until she came across Clifton StrengthsFinder that she discovered her “why.” This ability to provide context has helped those she coaches find enlightenment in their pursuit of understanding their life’s purpose. Rita approaches team and individual sessions differently. When coaching teams, she always begins by explaining the Clifton StrengthsFinder assessment, and what kind of results individuals can expect to see from it. When coaching individuals, Rita asks her clients to clearly draw out what they want to get out of the coaching, and how they plan to use strengths in their everyday lives. Every team is different, so it’s important for coaches to cater their team coaching sessions to each team separately. This process begins by meeting with key stakeholders to find out what they want to get out of the coaching sessions. If you treat each team the same, and coach them in a similar manner, the results won’t be nearly as significant. To hear more about Rita and how she uses strengths to empower others, watch the full video above. Join us for the next Called to Coach: Southeast Asia Edition on Tuesday, Sept. 9, at 10 a.m. Singapore time. You can register for all upcoming Gallup Strengths Center webcasts at gallup.eventbrite.com. Rita’s top five strengths: Achiever | Maximizer | Arranger | Ideation | Futuristic. Rita is a seasoned Human Resources leader with over 20 years of experience in global organizations in Asia. She uses Clifton StrengthsFinder to help others become aware of their true talents, from which they the ability to achieve better performance and productivity in their careers and personal lives.